On the 21st and 22nd of each month, members of this community receive a unique recipe challenge. This month’s challenge: Grab a Book & Cook. ReDux has been around for 42 months! To celebrate, the “reduxers” are playing a little party game this month: Grab a cookbook and ReDux the recipe on page 42 or 142. As I opened up my Vintage Cakes cookbook and flipped to page 42, the recipe for Not-for-Children Gingerbread Bundt Cake was on the page, and it seemed perfect for the season. Well, Julie, you were on the mark with that one. With 1 1/4 cups of molasses, this cake is one intense flavor bomb. The intense molasses flavor had me redux rename the recipe to Not-for-the-Faint-of-Heart Molasses Bundt. You really can’t miss that biting ingredient here. This is one of those cakes that really does taste better the following day. As it sits overnight, the flavors mellow out. I was pretty shocked at how nice the flavor was when I had a slice for breakfast this morning! The texture of the cake is really smooth, too. Since I did not make the glaze that the original recipe called for, I have been eating the cake with applesauce, sunbutter, or milky coffee, all of which help mute some of the intensity. 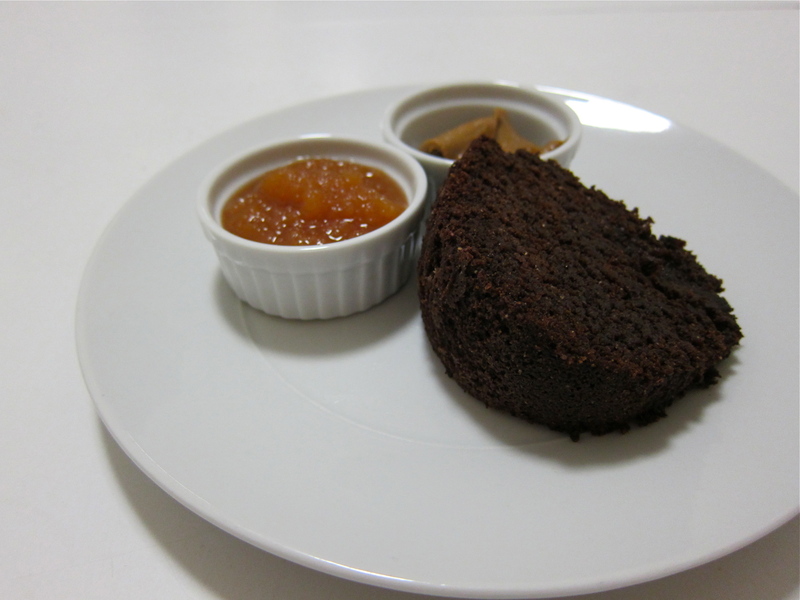 I liked that this cake calls for a mix of cocoa, brewed coffee, and molasses. These ingredients made some neat science when combined with baking soda! Next time: I would most definitely dial down the molasses, maybe to 3/4 or 1 cup molasses instead of 1 1/4 cup. A few tablespoons of brandy or bourbon to make up for the lost molasses liquid wouldn’t hurt. I usually keep fresh ginger in my freezer, so I can always grate off a little bit as needed and put it right back into the freezer to stay fresh. Alas, I ran out of fresh ginger. Next time: I should add a few grates of fresh ginger to the recipe. The original recipe calls for a glaze that involves a decadent mix of brown sugar, heavy cream, butter, salt, confectioners’ sugar and brandy. That sounds lovely for a celebration, but I ran out of brown sugar and was not in the mood to glaze. If you are also not in the mood to glaze, I recommend (again) enjoying the cake with applesauce, sunflower seed butter, and/or milky coffee. Next time: I should just go for it and make the glaze. The below recipe looks long and scary. The recipe does require a few bowls and a few steps, but it just looks long because of all the spices. Next time: Aim for a simpler recipe to ReDux! Ey, I’m a ReDux rookie, gimme a break! **Make the cake a day before you want to serve it to let the flavors mellow! Preheat the oven to 350 degrees F. Grease a 12-cup bundt pan. In a medium-sized bowl, whisk the cocoa and baking soda together and stir in the molasses and the coffee. The mixture will bubble briefly. In a separate bowl, sift together the flour, baking powder, cinnamon, ginger, cloves, salt, and pepper, then whisk by hand to ensure the ingredients are well mixed. In the bowl of a stand mixer fitted with the paddle attachment, cream the butter, yogurt, and sugars together on medium speed until fluffy, about 5 minutes. Stop the mixer frequently and scrape the paddle and sides of the bowl with a rubber spatula. With the mixer on low speed, drizzle the oil (and/or applesauce) in until well combined. Blend in the egg yolk and eggs one at a time, adding the next one as soon as the previous one has disappeared into the batter. With the mixer still on low speed, add the flour mixture in 3 parts, alternating with the coffee/molasses mixture in 2 parts, beginning and ending with the flour. Scrape the bowl down after each addition. Stop the mixer before the last of the flour has been incorporated and finish blending by hand with a rubber spatula so as not to overbeat the batter. Pour the batter into the prepared pan. 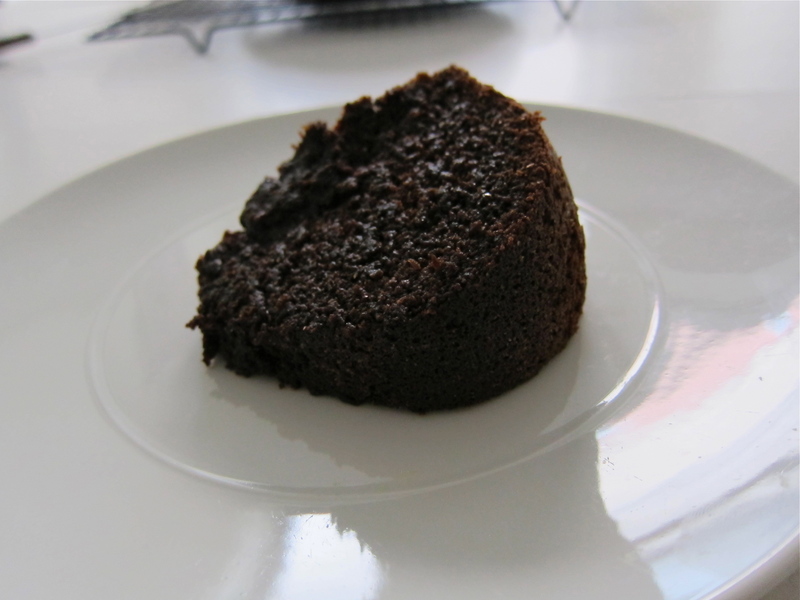 Bake for about 45 minutes, or until a toothpick or skewer inserted down through the center of the cake comes out clean. Cool on a rack for 20 minutes before removing the cake from the pan. Continue to cool the cake on a wire rack until it reaches room temperature. Nice! I started recipe redux this month also. Really cool idea tp be a part of! Yay! We are ReDux buddies now! I’ve been meaning to pick your brain about blog/web stuff. Will email you soon! Yes definitely! Have a good holiday! With a name like this, I gotta try it. Appreciate how you showed the reduxing you did plus what you would do differently next time! Thank you, Serena. Baking is always a work in progress! I froze the cake in thirds and pulled out some of it over the weekend. Still tasted great!